Are your cables CPR compliant? CPR covers the fire performance and other aspects of various products permanently installed in domestic, residential and commercial buildings. CPR became a legal requirement from 1st July 2017, so it’s important you stay compliant. The Blustream Micro Form HDMI cable transmits all video resolutions up to and including 4K . 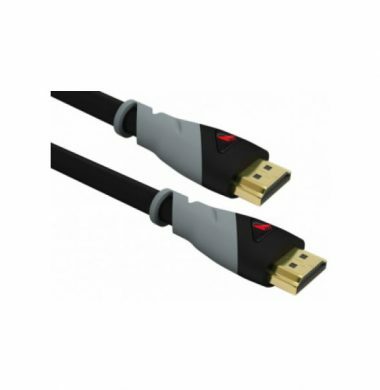 The Micro Form HDMI cable is available in lengths of 0.5m, 1m, 1.5m and 2m. 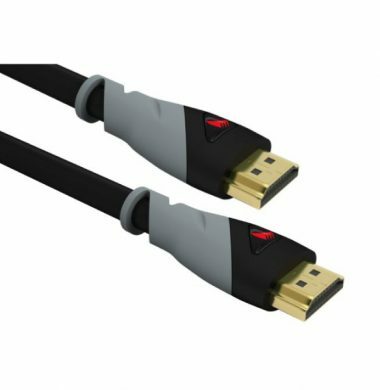 Blustream’s Performance HDMI cable transmits all video resolutions up to and including 4K (excluding 10m and 15m). 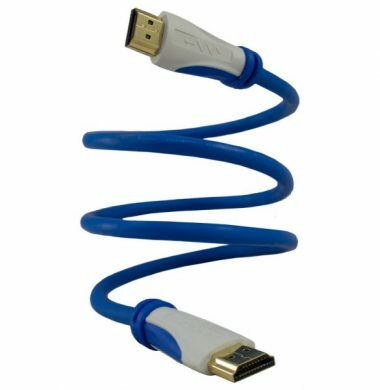 The Performance HDMI cable is available in lengths of 0.5m, 1m, 2m, 3m, 5m, 7m, 10m and 15m. Blustreams’ Performance HDMI cables are constructed from 99.99% Oxygen Free Copper for enhanced signal transfer. 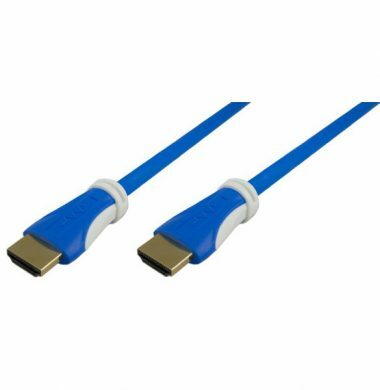 Blustream offer active Precision 18 HDMI cables utilise integrated circuits that measure, analyse and adjust the video signal to ensure 18Gbps pass through for support of all the latest 4K resolutions including 4K 60 Hz 4:4:4 colour space, HDR, Dolby Vision and 8/10/12 bit colour. 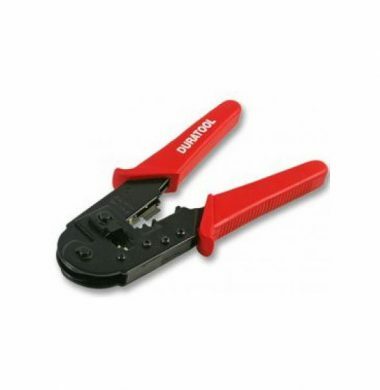 This is a basic RJ45 crimp tool for connecting RJ45 plugs onto flat or round Cat5e or Cat6 cable. 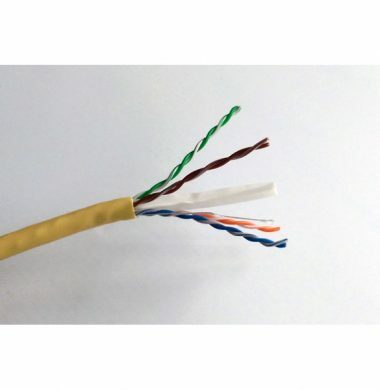 It also can strip round Cat5 cable, strip flat Cat5 cable and cut the cable. 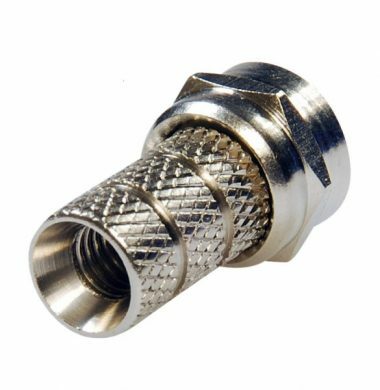 The F Type Coaxial Connectors suitable for WF65/63 type cable. To fit the connectors simply strip back the cable’s outer sheath exposing the braiding by 20mm then fold the braiding back on itself. Cut the centre insulation back around 17-18 mm exposing the centre core, the cable is then inserted into the plug and the plug is “screwed” onto the cable. Ensure you have around 3mm of the core protruding beyond the end of the plug. To fit the connectors simply strip back the cable’s outer sheath exposing the braiding by 20mm then fold the braiding back on itself. Cut the centre insulation back around 17-18 mm exposing the centre core, the cable is then inserted into the plug and the plug is “screwed” onto the cable. Ensure you have around 3mm of the core protruding beyond the end of the plug. 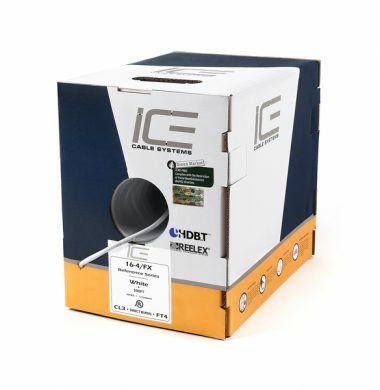 ICE 14/2FX,Reference Series,is a 14 AWG,2 Conductor,Stranded,Oxygen Free Copper,UL Direct Burial, Class 3 & FT4 Rated for Audio and Direct Burial Applications. This cable is perfect for applications of Telephone and other communication circuits such as voice, data,and audio for on-premise customer systems. 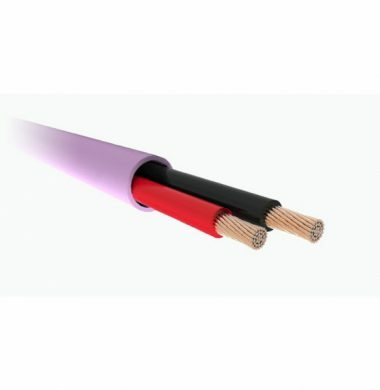 ICE 16/2 FX is a 2-core speaker cable suitable for direct burial. Available by the metre, for specific lengths, please email or call for details. 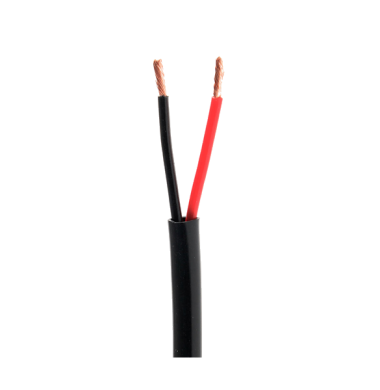 ICE 16/2 Low Smoke Zero Halogen 2 Core Speaker Cable, provides flexibility and robustness for premium quality audio installations. ICE 16/4/FX Reference series cable is a 4-core speaker cable suitable for direct burial beneath the surface of the earth. 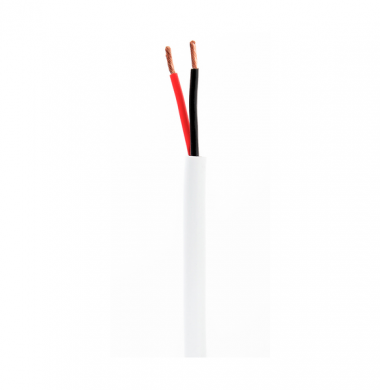 The main application for this type of cable is Telephone and other communication circuits such as voice, data,and audio for on-premise customer systems. This ICE 16/4FX cable is from the Reference Series Speaker Cable. 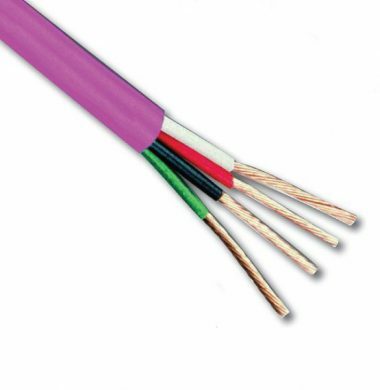 It has 16AWG, 4 Conductor, Stranded, Oxygen Free Copper and is UL Direct Burial, Class 3 & FT4 Rated for audio and direct burial applications. Available in a whole box of 152mtrs. LSZH (low Smoke Zero Halogen) is the safest choice for your install. 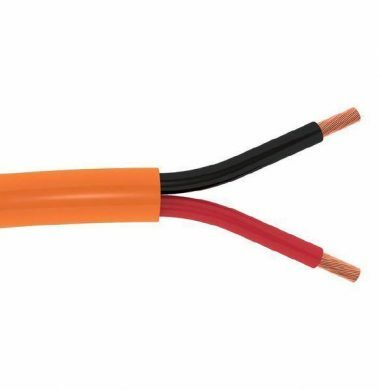 ICE LSZH cable jackets are made from the finest thermoplastic compounds to ensure that a limited amount of smoke and no halogen is released if the cable is exposed to high sources of heat. 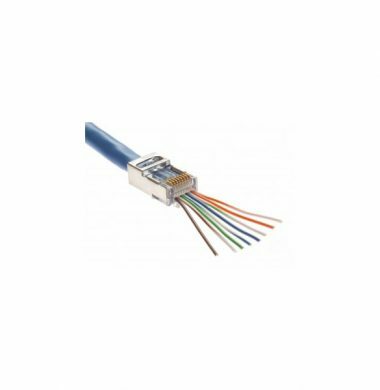 ICE CAT6/LSZH is a structured Category 6 cable rated up to 550 MHz, that can fully support HDBaseT (1080p 3D). 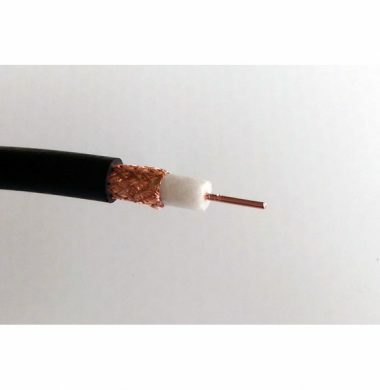 ICE WF100/LSZH is a Low-Smoke Zero-Halogon coaxial cable featuring a solid bare copper core surrounded by a foam insulator, and braided copper foil sheild. Excel Cat6A Keystone Modules have been designed to provide the exceptional performance required to support extremely high speed applications, including 10-Gigabit Ethernet. 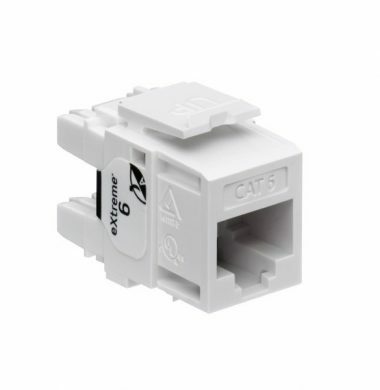 When used with Cat6a Cable, the Category 6A Keystone Modules provide an outstanding transmission medium free from the problems of alien crosstalk. The tool-less and snap-to-fit module ensures a quick and easy to terminate installation, and the standard Keystone fitting allows the use of the same module in patch panels, wall outlets and a variety of other applications. 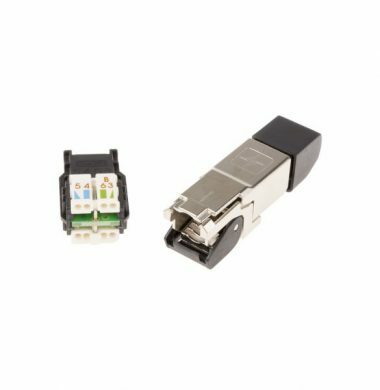 The Leviton 61110-RW6 eXtreme Cat 6 connector is designed to be used with all QuickPort compatible products. The connector includes patented Retention Force Technology which promotes consistent performance over the life of the system. It features unique pair separation towers allowing for quicker and easier terminations. 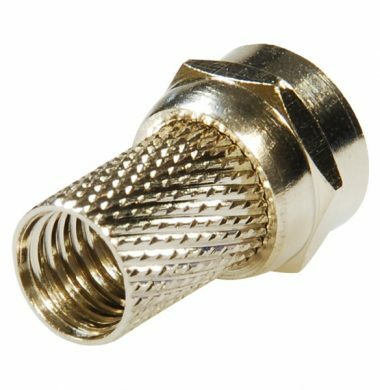 The connector is built on a 180-degree configuration with the punch field in the back, allowing for rear termination. 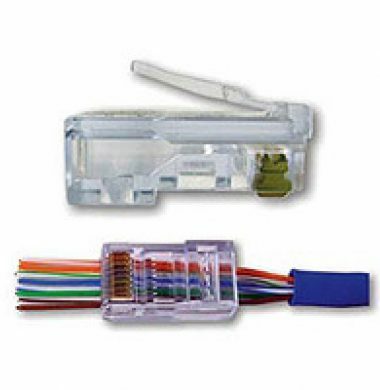 The patented EZ-RJ45 (Easy RJ45) Cat.6 connector simplifies RJ45 connector plug twisted pair terminations by allowing the wires to be inserted through the connector and pulled out the front. 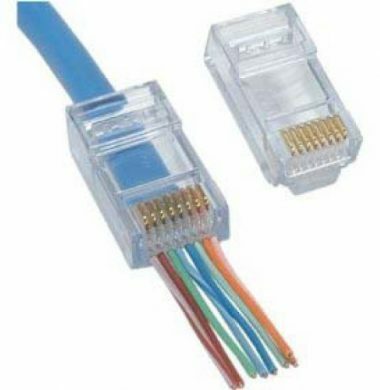 Electrical performance of the termination is optimized by pulling the EZ-RJ45 cat 6 connector down over the cable jacket and seating it tightly in the rear of the connector. By reducing the distance between the wire twists and contacts, performance is optimized – a necessary requirement if the Cat.6 data transfer speeds are to be maintained and not dropped to Cat.5e speeds. 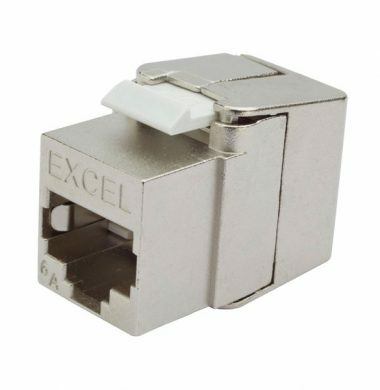 The patented EZ-RJ45 (Easy RJ45) fully shielded plug, with an internal ground, combines the performance advantage exclusive to the EZ-RJ45 design with the performance advantage inherent to shielded products to provide an unparalleled solution for the market. The QED QX16/2 cable is perfect if you are planning to install Multi Room Equipment or a Home Cinema System. Available by the metre or full boxes of 100 metres. The colour coded sheath is sequentially marked in metres for ease of estimated use. The SCP 16-2 OFC speaker cable is a high quality, professional install standard speaker cable. 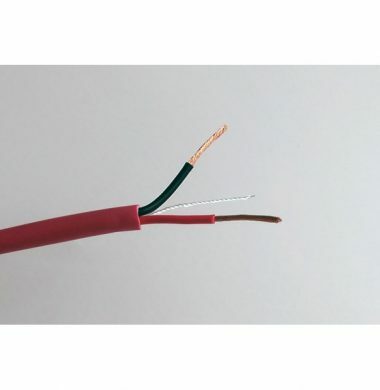 The SCP 16-2 Oxygen Free Copper Audio Cable consists of high strand count insulated oxygen free copper conductors in twisted pair construction (unshielded) with easy strip PVC jacket. The cable features the SCP Cable Labeling System with sequential foot/metre markings,so you can calculate exactly how much you have used on each install. It also features room/zone/outlet designations for easy cable identification. 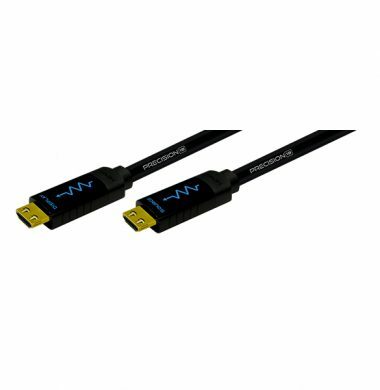 WyreStorm Express HDMI cables are HDMI v1.4 certified and transmit high-definition audio and video signals without loss in quality or distortion. 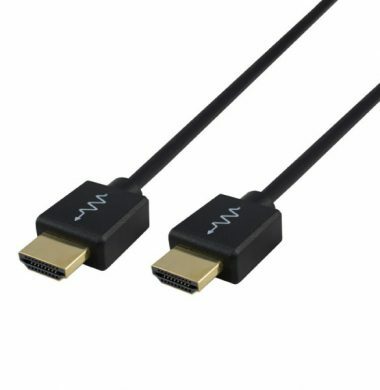 Wyrestorm HDMI cables are the ideal choice for the high-quality, reliable and affordable connection of any HDMI input or output over distances up to 5m/16ft.